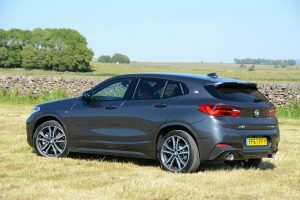 BMW has been effective in inventing and exploiting new niches, and here we go again; the X2 is essentially an X1 with a lower roof and more sporty design. Should you buy this over an X1? The exterior styling of the X2 is more distinctive than the X1 – and the X3. The body style still offers reasonable practicality, although the boot certainly isn’t huge, and one of the outcomes of the styling – with its high door lines and narrow glass height – is that small children in the rear seats can struggle to see out of the windows. 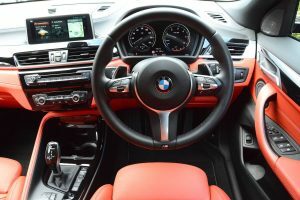 The dashboard has had another incremental evolution upmarket in terms of quality and design compared to BMWs from a few years ago. Our test car featured a 2-litre diesel engine with an eight-speed automatic transmission and xDrive all-wheel drive. One of the features of most BMWs is an excellent driving position. 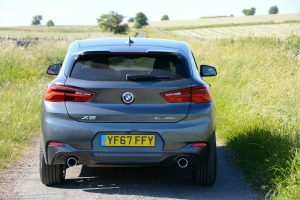 The X2 comes close to ticking this box, but the driving position is high compared to a 3 Series. 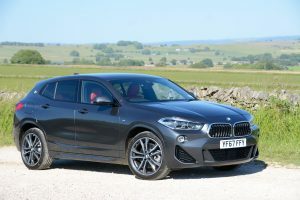 The latest 2-litre BMW diesel unit is a good engine in terms of a balance between performance and economy, but it can sound strained under pressure – especially compared to a silky-smooth 3-litre BMW diesel unit. The automatic gearbox – in common with all other BMW autos – is excellent, changing gear smoothly and quickly. The overall driving experience is good, and is what you would expect from a BMW. It’s refined overall, but it doesn’t set any new dynamic benchmarks. The whole car feels tight, but relatively heavy (kerb weight is 1600kg), and the steering feels more weighty than you would expect in a car in this sector. 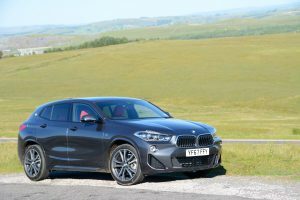 The primary ride is comfortable, although on the firm side, but the secondary ride can be somewhat harsh (the M Sport suspension fitted as standard on the X2 M Sport includes firmer spring and damper tuning and is 10mm lower than the standard suspension). Handling is good – although it’s more competent than entertaining – and grip from the xDrive system is excellent. However the X2 can be noisy on the motorway, with some wind noise, but especially road noise, which can be particularly poor on certain road surfaces. The Driving Experience Control switch provides the options of COMFORT, ECO PRO and SPORT mode. BMW still provides the best infomedia system in the business. A highlight is the ability to easily zoom in and zoom out on the widescreen map, for example to see how many crashes there have been in the last few hours on the motorway ahead. 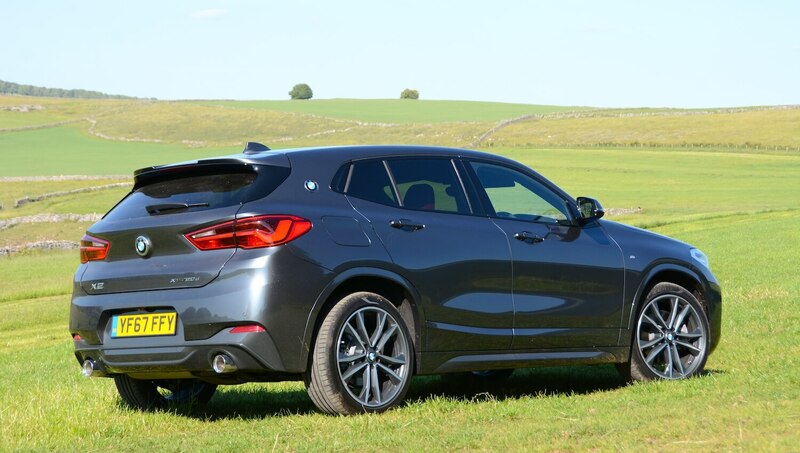 The official NEDC combined fuel economy for the BMW X2 xDrive20d M Sport is 58.9 mpg, with CO2 emissions of 126 g/km. We managed to achieve 73.3mpg at 50mph on the incredibly long roadworks section of the M6 in Cheshire (on an incredibly rare occasion that no-one had crashed on this section), and we managed 55.4mpg at 70mph, but overall after a week of mixed driving we averaged 43.4mpg. The X2 also offers a real-world driving range of around 500 miles (although it should be noted that our test car had the option of a touring fuel tank, at a cost of £40. The respectable economy – if driven carefully on long journeys – is helped by the drag coefficient of Cd 0.28. 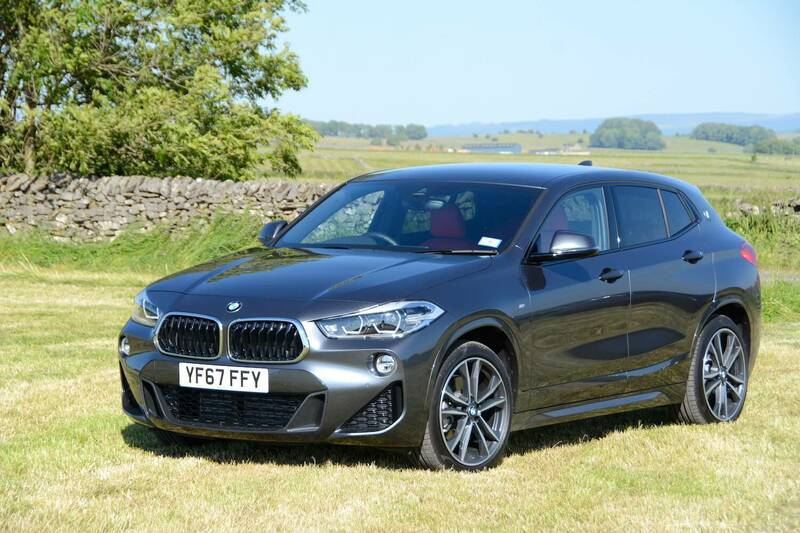 Prices start from £33,980 for a BMW X2 xDrive20d SE, but the base price of the BMW X2 xDrive20d M Sport is £36,590. 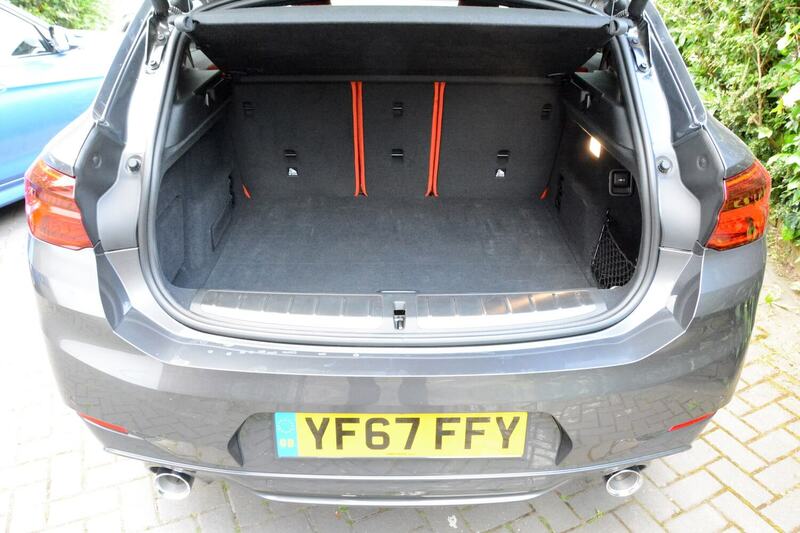 However our test car had the typical BMW press car range of options, including Mineral Grey paint (£550) and Magma Red Dakota Leather (£800), taking the price to £37,940, and then on top of this there was Tech Pack (£710), Vision Pack (£710), Touring fuel tank (£40), 19″ alloy wheels with Performance tyres (£550), Electronic Damper Control (EDC) (£150), M Sports Steering (£220), Comfort Access (£350), Luggage compartment separating net (£105), Sun protection glass (£270), Electric Front Seats + Driver Memory (£650), Park Distance Control (PDC) front and rear (£340), Extended Interior Light Package (£220), and Harman Kardon Hi-Fi (£600). 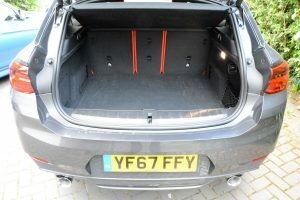 All options totalled £5,465, taking the price of the car to £43,405 – with First Registration Fee, Number Plates and Delivery added, this came to a grand total of £44,185. 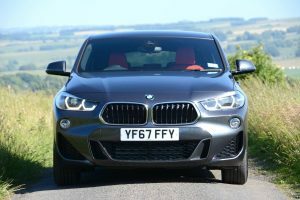 There’s a lot of very good cars to choose from for this budget – including other models in the BMW range. 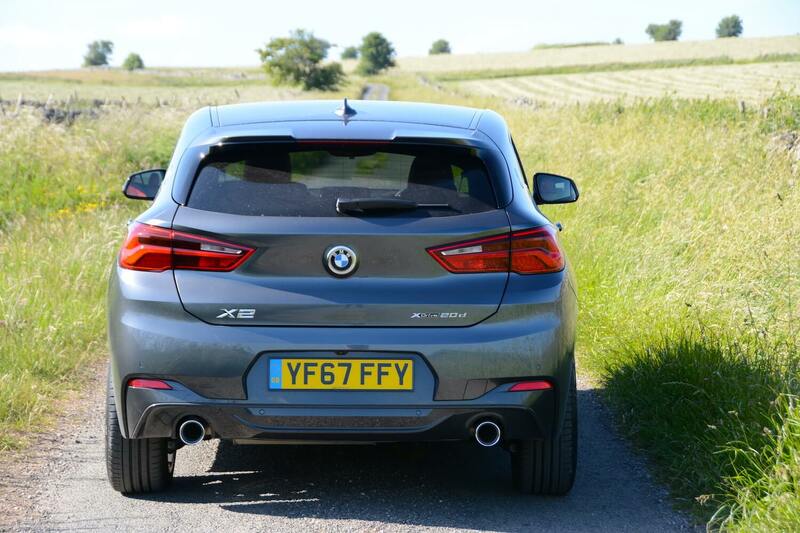 At launch there was just one engine variant available, the xDrive20d. Further engines are being added to the line-up in 2018: the sDrive20i, X2 sDrive18d and X2 xDrive18d. Trim levels are SE, Sport, M Sport and M Sport X. 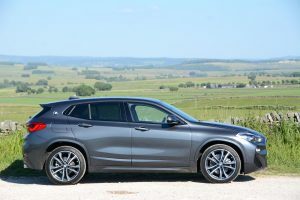 If the BMW X1 is too tall for you, then the X2 could be your answer. Having a lower roofline makes it more aerodynamic, and therefore efficient, it also gives it a lower centre of gravity, so improving handling. And of course it looks more sporty. 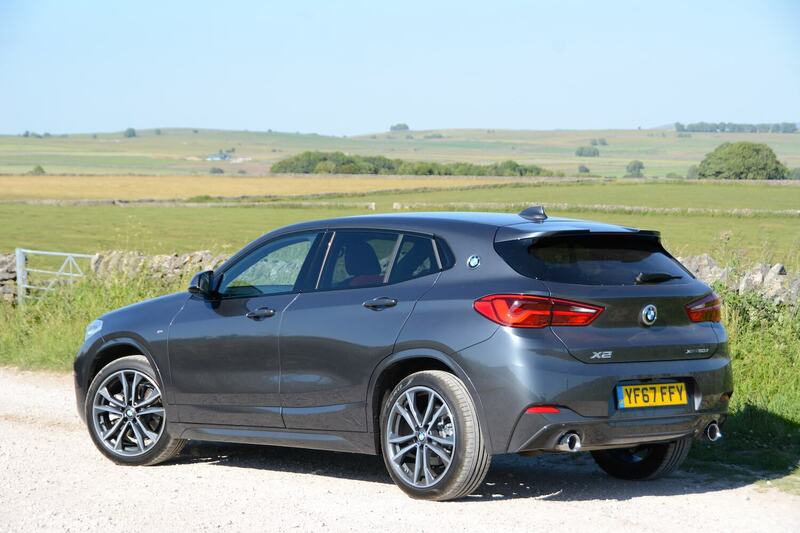 Other than the distinctive body style, the X2 is a fairly traditional BMW. 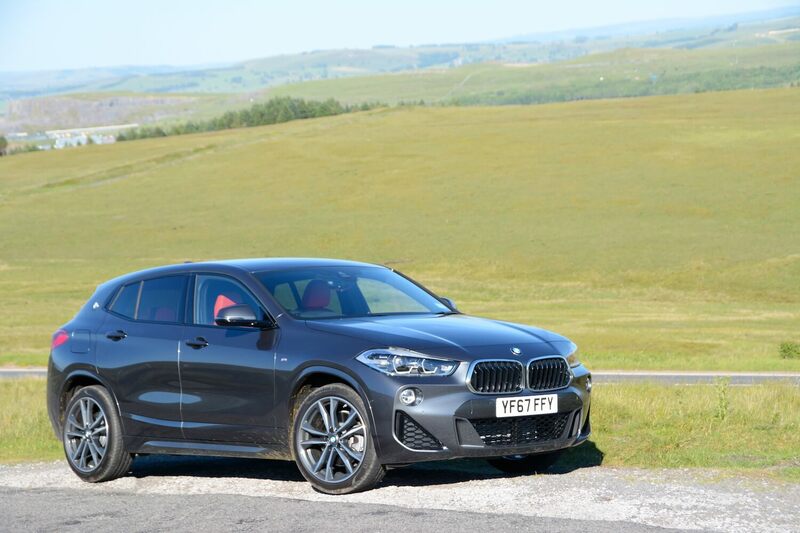 The xDrive all-wheel drive system provides excellent grip, the engine delivers good efficiency, and the overall driving experience has the normal BMW genes, if not the agility that might be expected based on the appearance of the X2. So it does everything very competently, but despite the sporty looks, it doesn’t set any new dynamic benchmarks. 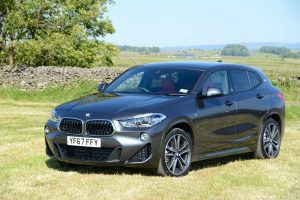 Based on this, and the relatively expensive purchase price, the BMW X2 xDrive20d M Sport is awarded a Green Car Guide rating of 8 out of 10.